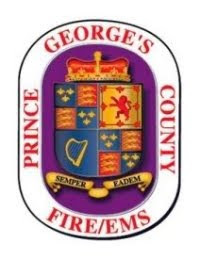 Do not be surprised to see Fire/EMS units responding from other jurisdictions today in Prince George's County. In addition to volunteer staffing many neighboring jurisdictions and from the National Capital Region are filling in at Prince George's County Fire/EMS Stations allowing on duty personnel the opportunity to attend Funeral Services for Fire Fighter/Medic Lieutenant Chris Hill. Chris will receive a Fire Department Line of Duty Death Funeral Service in addition to full military honors administered by the Old Guard of which Chris was a former member of. These ceremonies will take place at the FOP Lodge on Route 202 in Upper Marlboro sometime around 1:00 pm. The Prince George's County Fire/EMS Department is deeply appreciative of the tremendous amount of support and assistance we have received. We are forever grateful.